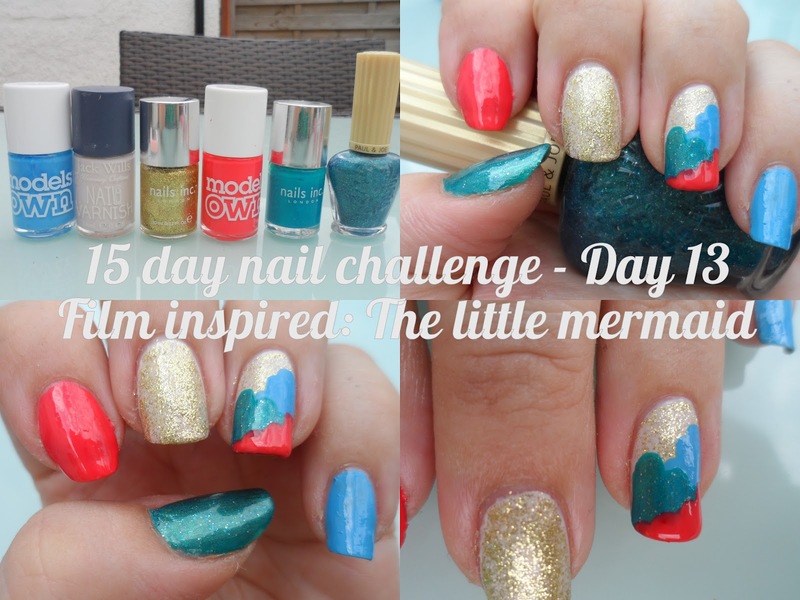 Day 13 on the Makeup Savvy 15 day nail challenge is film inspired nails. In my head I had a great idea for The Little Mermaid nails, but I'm not sure they're really come out that well. I was trying to pick out the colours of the beach, the sea, Ariel's hair and her mermaid tail. The colours have come out a little bit darker here than in real life where the red was much more coral. This was my first attempt at trying out something like this. I like the overlapping nail that I did on my ring finger and I'll try that again some time. I just need to think about the order of the colours to make sure they layer well as it was difficult to stop my mermaid colour showing through under the coral.